In a time of political and administrative change, we have taken the initiative to collect and recommend a group of books focusing on women in politics and tackling stereotypes placed upon them because of their gender. As a part of #awesomewomen, we would like to spread the love and knowledge of these powerful women with our readers. For more information on each book, follow the link in the book titles. 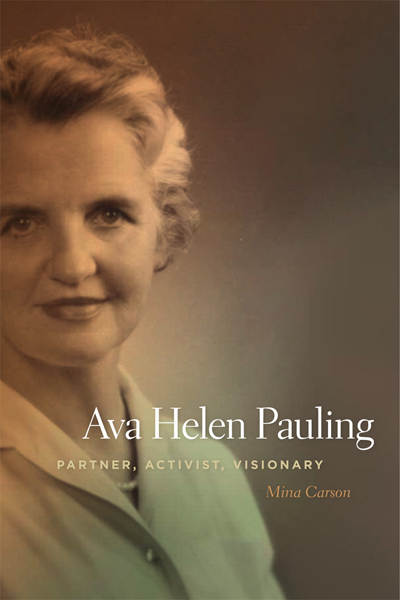 Ava Helen Pauling: activist for civil rights, anti-nuclear testing, peace, feminism, environmental stewardship, and wife of the famous Linus Pauling. Despite beginning her career in her husband’s shadow, she soon felt torn between her duties to her family and her passion in political causes--feminism. African American journalist Beatrice Morrow Cannady was one of Oregon’s most dynamic civil rights activists. Between 1912 and 1936, Cannady tirelessly promoted interracial goodwill and fought segregation and discrimination. She was assistant editor, and later publisher, of The Advocate, Oregon’s largest African American newspaper. Cannady was the first black woman to graduate from law school in Oregon, and the first to run for state representative. A Force for Change illuminates Cannady’s role in advocating for better race relations and dispels the myth that African Americans played little part in Oregon’s history. Before the 1970’s, very few women were working for the United States Forest Service. However, because of new environmental and fair employment laws, Susan Marsh was hired on to the U.S. Forest Service around Yellowstone National Park. This was the first time women were being hired in the U.S. Forest Service as geologists, scientists, and biologists. Yet, what was thought to be her dream job became six years of frustration due to her inability to fit in, leading her to begin again in the mountains of western Wyoming. 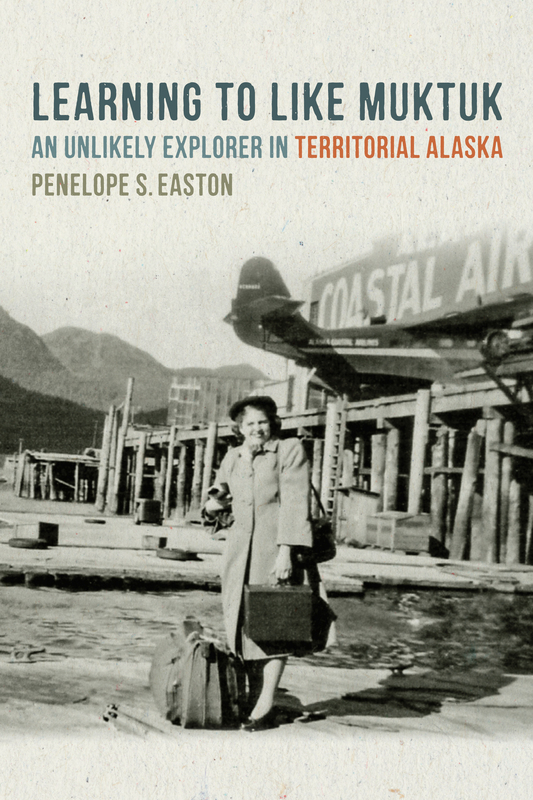 World War II veteran with a Masters in Public Health Nutrition, Penelope Easton journeyed to Territorial Alaska to work as the dietary consultant for the Alaskan Health Department. Taking this time to observe the effects of illness and disease epidemics, educational philosophies, and a scarcity of imported food supplies, Easton found herself fascinated by the food of the indigenous Alaskans, such as muktuk. Through her gained experiences, Easton advocated for the need of preserving native food customs. 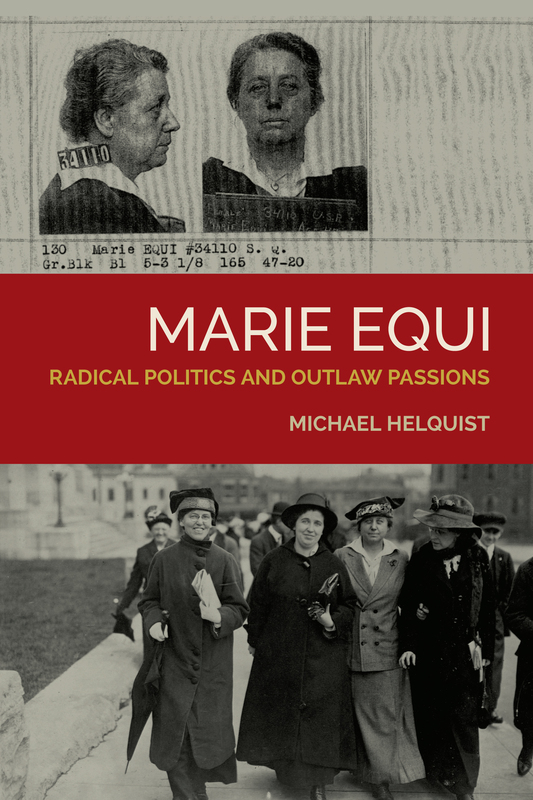 Marie Equi, born in 1872, self-studied her way into medical school. After making the move to Portland, Oregon, she became licensed as one of the first practicing woman physicians in the Pacific Northwest. Alongside her medical work, Equi was active in the fight for women’s suffrage, labor rights and reproductive freedom, and became one of the first well-known lesbians in Oregon. 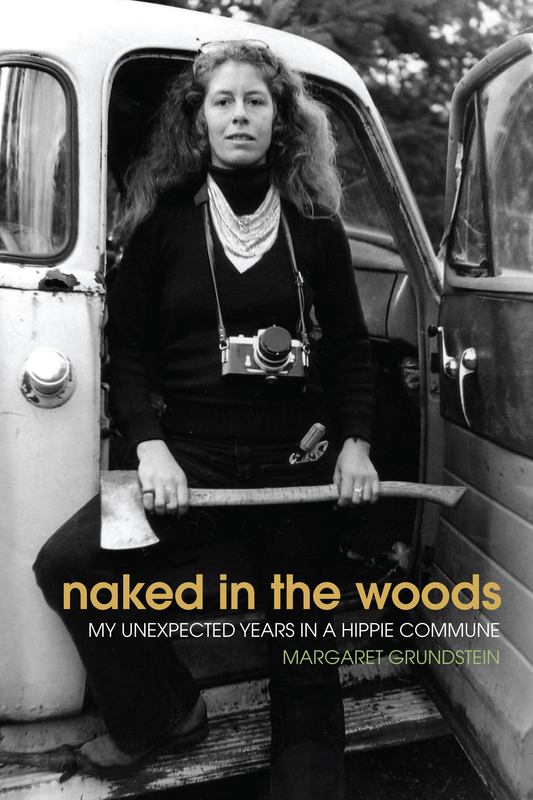 In 1970, Margaret Grundstein abandoned her Yale graduate degree in order to follow her husband, an Indonesian prince and activist, to a commune in the backwoods of Oregon. However, after being left by her husband for “freer love,” Grundstein was left with a choice. Would she be able to make it as a single woman in “man’s country?” Tensions rose and brotherhood became strained as food became scarce and lines were drawn over land ownership. Grundstein’s memoir illustrates the life of woman living during a period of rapid social change. Norma Peterson Paulus was raised in Depression-era poverty in Eastern Oregon. Coming from a family of Democrats, she made the courageous move to switch parties, as she believed the Republicans were in politics for “all the right reasons.” She was soon appointed by Governor McCall to the Marion-Polk Boundary Commission in 1969, which helped launch her onto her path to Oregon House of Representatives in 1970. After three terms, in which time she took the reigns for environmental causes, women’s rights, and government transparency, she was elected as Oregon’s Secretary of State in 1976, not only as the first woman in this position, but the first woman in Oregon to be elected to a statewide office. Avel Gordly, the first African-American woman elected to the Oregon State Senate, gives an honest telling of Gordly’s life. As a black girl growing up in Portland in the 1950’s and 1960’s, she faced criticism for her ambition to attend college and her complete dedication to activism. Detailing the challenges faced in her decision to run for a seat in the state legislature. Gordly emphasizes the struggle of finding her voice in a time where her voice was denied. Drawing from the story of She Who Watches as a guide, Sue Armitage reveals the stories of women in the developing societies of the Pacific Northwest who created the history of our region. 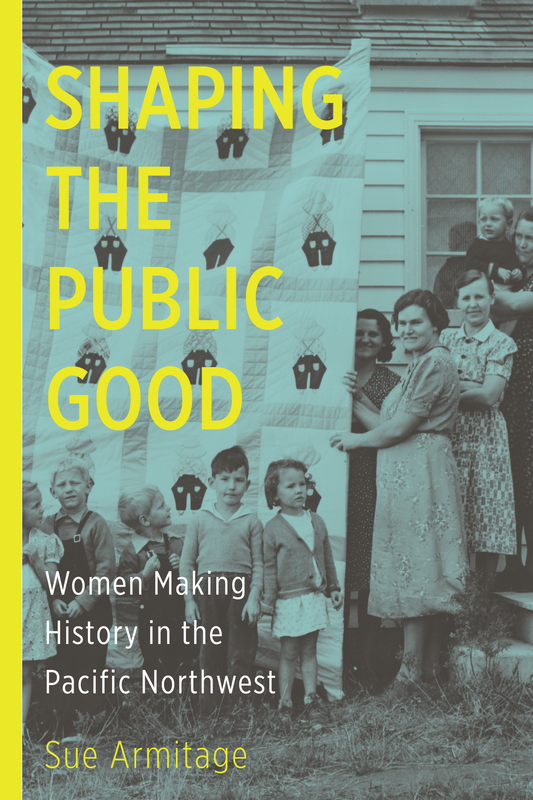 These women, of all races and ethnicities, were the guardians and active powers in the shaping of the public good, despite their inability to obtain positions of public authority. 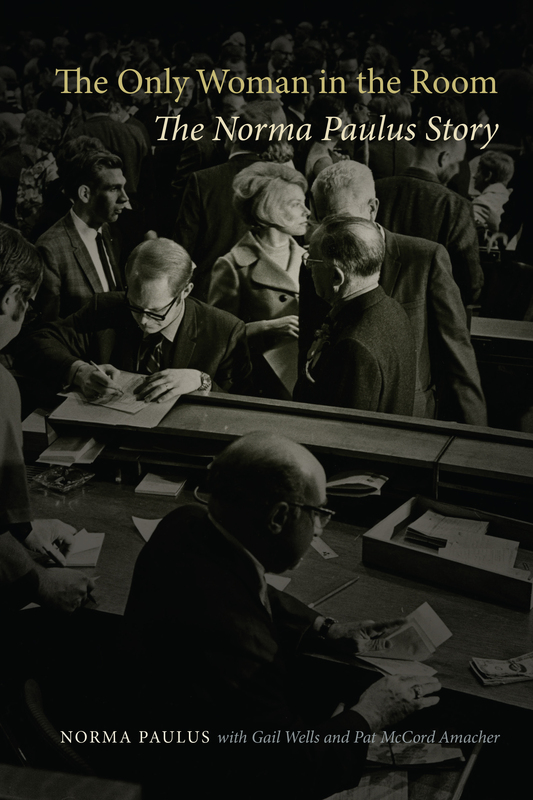 This memoir by Barbara Roberts surrounds the life of Oregon’s first woman governor. She began her mission of public service as an advocate for the rights of children with disabilities, eventually moving on to school board member, to legislator, to Secretary of State, and finally, Governor. With this memoir, readers are given the gripping details of hard policy decisions and Roberts’ personal ups and downs. In the 1950’s, Betty Roberts took a step most often looked down upon by her contemporaries by going back to college at the age of 32, all while being a committed wife and mother. 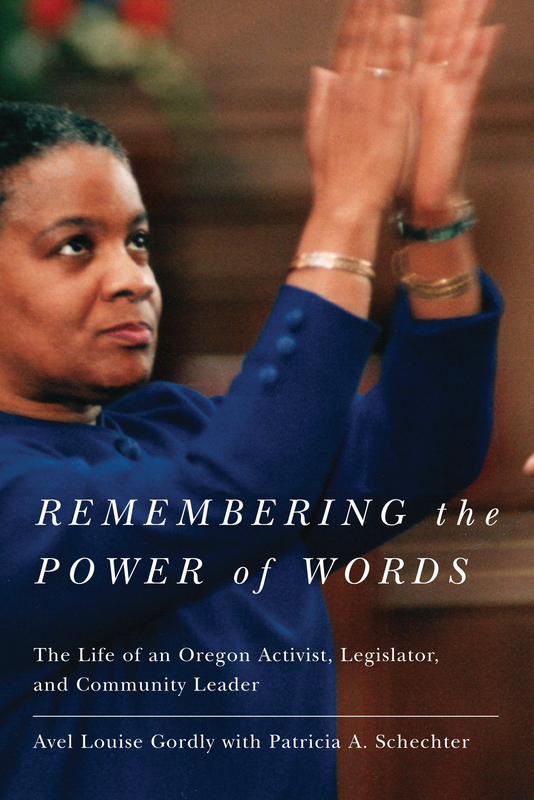 In this memoir, Roberts reflects on her experiences and struggles as she worked to break out of the prevailing stereotypes, working as a teacher and taking her career to be Oregon’s first woman Supreme Court Justice. Between the years of 1871 and 1887, Abigail Scott Duniway stood as a leader in the woman suffrage movement and recorded the experiences and stories of the events that unfolded in The New Northwest--one of the only newspapers in the United States devoted to women’s advancement. Jean Ward and Elaine Maveety provide a selection of Duniway’s articles in this volume from her time as an editor, writer, and suffragist. 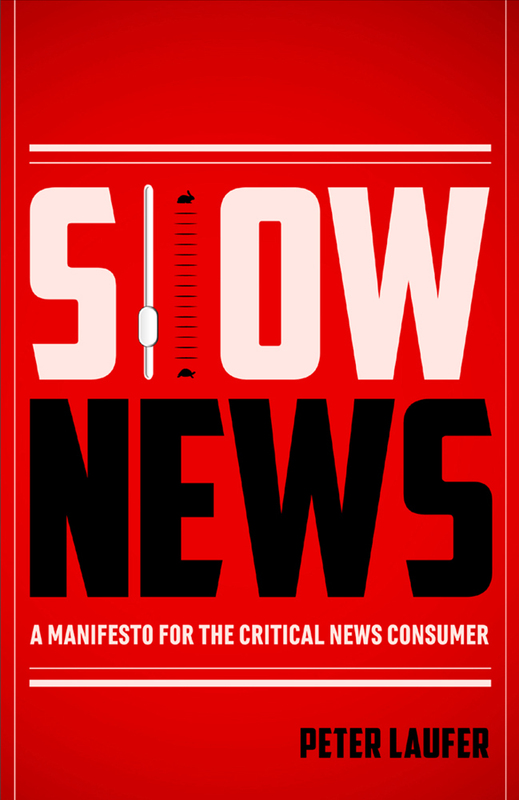 Author, journalist, and broadcaster Peter Laufer published his book Slow News with the Press in 2014. Laufer provides readers with an examination of modern-day news consumption and creation. Considering the world we live in today--instant news, fast food, immediate gratification--it is important to take a step back to survey the information being presented to us. What is the validity of any piece of news? How do we determine what is “fake news?” What about accuracy? What is the true value of this constant stream of news? Today we are sharing with you an excerpt from Laufer’s book, Slow News. The excerpt, “Rule 9: Avoid Echo Chamber Reporting”, analyzes the meaning of journalism and the various bits of information introduced to us in our everyday lives attempting to pass as verifiable news. "Rule 9: Avoid Echo Chamber Reporting"
All journalism is investigative. If what is purported to be a news report is not investigative, it is merely clerical work. The New Republic’s critic Stanley Kauffmann famously said about Truman Capote’s In Cold Blood, “This isn’t writing, it’s research.” He was wrong, of course, but it was a witty paraphrase of a famous claim against the work of Jack Kerouac by Capote: “This isn’t writing, it’s typing.” These exchanges of insults make me think about stories presented as news that aren’t. Remember in this era of Facebook and Twitter that Facebook updates and tweets from newsmakers are not news. They may be information, but that’s not news. News, since we were cavemen drawing on our cave walls, requires an intermediary: the journalist. If the caveman who whacked the mammoth came home and scrawled his own experience on his cave wall, that was autobiography. If another caveman was along on the hunt, watched the kill, came home, and recorded what he saw on the wall, that was journalism. Sometimes the newsmaker and the journalist can be one and the same, but that requires both a rare news event and rare reporting talent. As for non-news, the worst offenders are news organizations that print or broadcast verbatim announcements from public relations agencies. There is nothing wrong with accepting material from PR functionaries as background for stories. But to stuff such propaganda as is into the news pages or a newscast is scandalous, the scandal made more egregious only by those print and broadcast businesses who completely prostitute themselves and sell the opportunity for self-promoters to appear as if they and their causes (usually commercial) were legitimate news. Almost as bad are the lazy reporters and editors who accept information without checking it and without advancing the story by reporting further developments. Crime statistics from the police are examples. Earnings reports from a company are others. An account of a battle by the military of one side of the conflict is still another example. That’s not journalism, that’s stenography—without at least verification, it’s just stenography. All news reporting should be investigative reporting. The latter term is redundant. There is a difference between information dumping and knowledge building. In today’s heavily mediated world we’re awash with information. We can Google anything and find factoids. We’re bombarded with information via the Internet and our mobile phones and other so-called New Media even while the relics of Old Media continue to thrive: books, for just one example. The Slow News rule is to seek information that builds knowledge. Thorough reporting about important world news developments or about news that interests us or about news that is particularly crucial to our lives builds knowledge, makes us smarter, better citizens, and makes us much more fun to hang out with. Beware of the Big Story Syndrome. When mobs of reporters flock to one story the result is needless repetition. Think about the hordes of writers and photographers waiting for the Chilean miners to come out of the bowels of the earth alive and well in October 2010. It was a thrilling positive news story, of course, full of human pathos and redemption. But think also of all the news stories that were going unreported or underreported worldwide all those days the miners were underground because of the resources that were shipped to Chile. When the world’s attention is riveted on one Big Story, it’s a good time to troll obscure news outlets to find intriguing news pushed from the front pages by the Big Story. The Big Story Syndrome can distract the public just as thoroughly as a premeditated maneuver to hide bad news on the weekend. Seeks news that teaches something new. The Slow News rule: All journalism worth your while should be investigative journalism, and sometimes it must be actively sought. Laufer, Peter. Slow News. Corvallis: Oregon State UP, 2014. Print. A Manifesto for the Critical News Consumer. Click the link below to be directed to the Jefferson's Public Radio website to listen to Larson's interview. 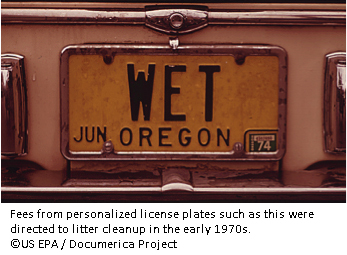 It was hard to avoid environmental debates in Oregon in the 1970s. Even schoolchildren like myself were aware of looming threats to air and water quality, controversial efforts to preserve wilderness, and the obvious impacts of urban sprawl. When they showed a film called “Pollution in Paradise” in our classrooms, it made us worry about the future. But Oregon, we quickly learned to our pride, was leading the nation in addressing the environmental crisis. We knew this from reading newspaper headlines, from the educational segments broadcast between cartoons on Saturday morning TV, and from parents who told us we were lucky to live in a state blessed with natural bounty and not yet overrun by concrete or choked by smog. It wasn’t until much later that I began to wonder what it was that made Oregonians take action to protect the environment when other states did not. 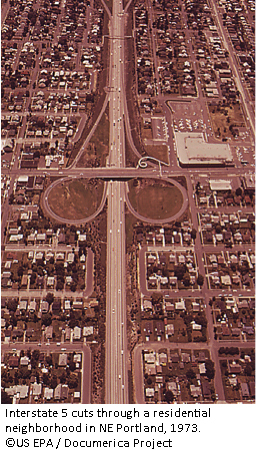 What were the origins of the distinctive “Oregon way” I had witnessed as a child in the 1970s, when the state was routinely featured in the national media as a bellwether for environmental protection? The roots of my book Keeping Oregon Green began with this question and the answer turned out to be more complex than I’d initially imagined. Environmental history and the history of the American West have been staples of my teaching since the late 1990s, which offered frequent opportunities to explore the broader context of Oregon’s environmental era. 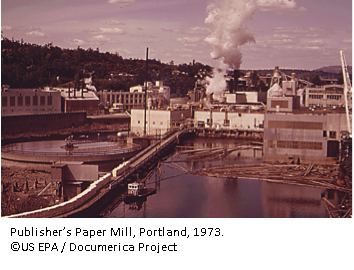 Summer and sabbatical travel offered time to dig into archival collections, to conduct interviews, and to explore the history of the national environmental awakening that culminated with the first Earth Day celebration in 1970. In the process it became clear that Oregon emerged as the national leader in environmental protection when it did for a number of reasons, not the least of which being rapid growth in the 1960s and its proximity to California’s famous smog, sprawl, and unplanned growth. But perhaps most important was the belief that Oregon had more to lose than other states, and thus its residents had greater reason to act. Ultimately I decided to frame the book around the definitive victories of Oregon’s environmental revolution: the Beach Bill, the Bottle Bill, the revival of the Willamette River, and creation of the Land Conservation and Development Commission. To illustrate the pace of change I prefaced those events—all of which took place between roughly 1969-1974 –with a study of the failed effort to establish a national park in the Oregon Dunes a decade earlier. Collectively the stories of these environmental conflicts tell us a great deal about what made Oregon different in the environmental era, why these advances were not easily replicated in other states at the time, and what it might ultimately take to build a strong political consensus around environmental protection again. Today Oregonians enjoy the benefits of advances made over forty years ago but the coalitions that made them possible have dissolved, leaving the state’s environmental future uncertain and its status as national leader resting more in its past than in its future promise. It was my hope that a deeper look at these once familiar stories might serve as a sort of orientation to younger and newer residents while helping anyone concerned to better understand “how things came to be this way” in Oregon and perhaps even how they might work together for a brighter—and greener –future. In the 1950s Oregon was just starting to show the impacts of its wartime industrial boom and post-war population growth. Political leaders were concerned more with economic growth and luring migrants into Oregon than about environmental quality. When Richard Neuberger, the state’s junior US Senator, began a push to have a second national park designated in Oregon his approach was couched in pride as much as preservation: Oregon, he argued, deserved another national park. After all, both California and Washington had several, and their landscapes were no better than his state’s! Neuberger explored park possibilities in Hell’s Canyon and on Mount Hood, but quickly settled on the Oregon Dunes near Florence, one of the nation’s longest stretches of natural sand dunes and a relatively undeveloped area that was already partially managed by the U.S. Forest Service. Joining forces with Massachusetts senator John Kennedy and Texas senator Lyndon Johnson, Neuberger co-sponsored a bill that would create a new category of federal land called a “national seashore” under the aegis of the U.S. National Park Service. 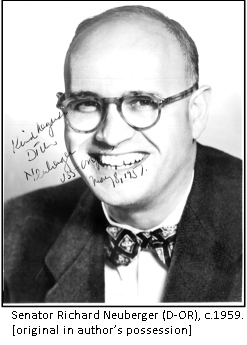 The ultimate failure of the bill despite Neuberger’s efforts to rally support for the park in Oregon illustrate a lack of widespread concern over environmental issues prior to the 1960s. Things changed quickly soon after. The publication of Rachel Carson’s indictment of pesticides in the book Silent Spring rang an environmental alarm bell for the nation in 1962, coincidentally the same year a Portland news reporter named Tom McCall produced a television special called “Pollution in Paradise” for KGW-TV. McCall’s documentary awakened Oregonians to the reality of environmental decay in their midst: sewage-choked rivers, smoke-filled skies, and escalating waste problems that belied the state’s reputation as a clean, uncrowded, natural paradise. 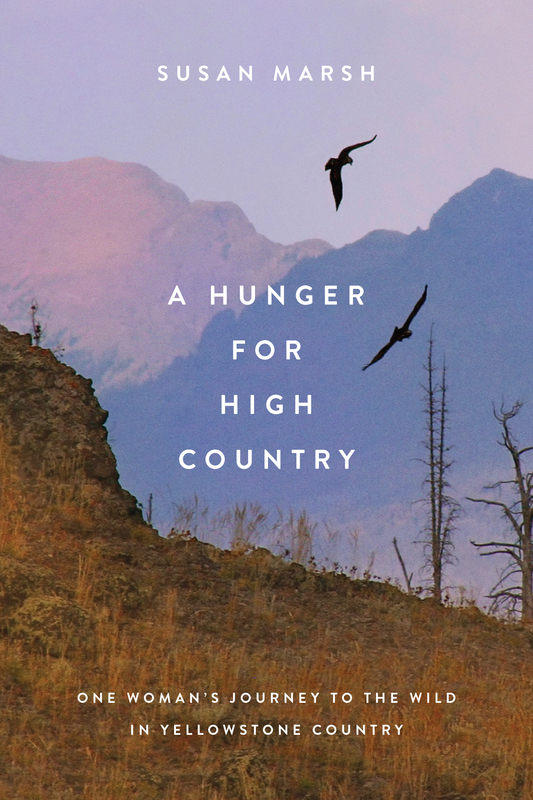 Carson’s book is often credited as the launchpad of the American environmental movement, shifting attention from traditional conservation issues like parks and wilderness to quality of life concerns that impacted people where they lived. McCall’s local expose did the same for Oregon, while also raising his profile with the public; he was elected secretary of state in 1964 and governor in 1966. McCall’s political reputation would center around the environment more than any other issue. 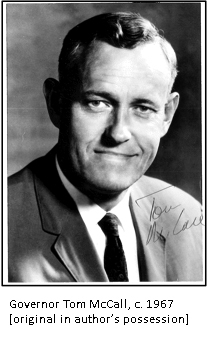 During two terms in office—serving from 1967 through 1975 –Tom McCall helped lead Oregon to national prominence in the environmental arena. Pledging upon his first election to clean up the fetid Willamette River, he oversaw a public campaign to reduce the flow of industrial and municipal waste that culminated in a National Geographic cover story in 1972 headlined “A River Reborn.” Campaigns to reduce litter by targeting disposable beverage containers and to secure the state’s beaches for public access also drew national attention, as Oregon became the national leader in progressive environmental legislation and McCall became the nation’s “environmental governor.” At the outset of his second term in office McCall charged the legislature with its biggest task yet: developing a plan to manage growth in the future so Oregon did not end up like California, which he often used as rhetorical shorthand for the collective ills of unmanaged population growth and environmental decline. The result—the Land Conservation and Development Commission –remains the nation’s most successful and studied land use planning system, as well as one of its most controversial. At the heart of Keeping Oregon Green are the stories behind these environmental advances. The laws themselves are important, both for their impact within the state and as national models. But more interesting to me is the cultural context in which these political acts were fashioned. Once awakened to the declining quality of their environment, Oregonians of varied political backgrounds collectively called for change. Their state, it was thought, was special. It was their duty to protect it, both for future generations and out of respect for their forbearers. Allowing it to be consumed by litter, clogged with sewage, and choked with smoke was simply unacceptable. The arguments they made, be they within the halls of the state capitol, on the editorial pages of the region’s newspapers, or in letters written to Governor McCall, were most often framed in personal terms and expressed concerns about specific places that were important to them as individuals or families. 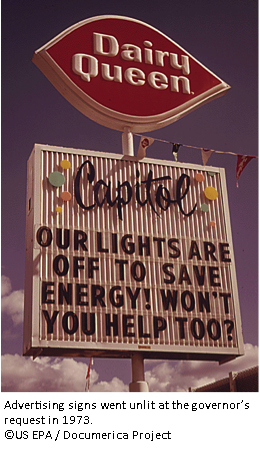 When the governor called for sacrifice, as during the 1973 energy crisis, most people willingly complied. This collective sense of place was a powerful weapon against environmental decay, one that bridged other differences and helped produce a consensus in support of actions that would have been inconceivable in many other parts of the country then or now. Those of us who were in Oregon in the 1970s likely remember many of the changes wrought as a result. We started picking u p bottles and cans along the roadsides and returning them to stores for pocket change. We walked the sandy beaches of the Oregon Coast secure in the knowledge that nobody could fence us out or proclaim part of “our” beach to be private. We watched the wigwam burners go dark and their smoke drift away for the last time, smelled the fresher air in towns with paper mills, and watched the salmon return to the Willamette. Even more important is what we didn’t see: Oregon did not plow under its farms for subdivisions, nor pave its forests for highways. While growth did come, it came in a managed fashion that helped keep Oregon green. All of these things are the legacy of a relatively short period of time and a remarkable series of political (and cultural) events that made Oregon the envy of the nation’s environmental advocates and at times the bane of the “growth at any cost” crowd who would put economics before all else. Through exploring the stories behind these events and their broader context I was finally able to answer the questions I raised years ago—why Oregon? why then? –while also gaining some insight into what might be required to address some of the environmental challenges we’ll face in the 21st century. Keeping Oregon Green, in the end, is an ongoing project that requires renewed dedication with each generation. The stories of Oregon’s first environmental era should serve simultaneously as inspiration and warning: quality of life in the region is high but it will take significant commitment to keep it that way in the future.